Two kinds of questions were being asked in the Integrated Arts Academy gymnasium on April 1: prearranged ones, posed via moderator to finalists for three Burlington elementary school principal posts, and burning ones, discussed in whispers by the parents who'd come to get a look at potential leaders of the city's Champlain, Sustainability Academy at Lawrence Barnes and IAA elementary schools. As the finalists for the Sustainability Academy job took the floor, the school's current principal, Lashawn Whitmore-Sells, looked on from the back row. A few weeks earlier, she'd emerged from a field of 13 candidates as Superintendent Yaw Obeng's choice to lead the district's largest elementary school, J.J. Flynn, where she'd previously taught for nine years. But on March 12 the school board rejected her transfer to Flynn by a 6-3 vote without public explanation. Almost immediately, Whitmore-Sells filed a grievance against the district. And now three candidates, including two who had traveled from outside Vermont, were already auditioning for her current job. "It felt a little uncertain," Sustainability Academy parent-teacher organization cochair Christina Erickson told Seven Days after the group tryout. "These candidates are here, but we may not need a new principal." Even school board members were confused, their emails show. On March 14, Monika Ivancic asked fellow board members why Obeng continued to solicit public input for the Sustainability Academy job despite the board's vote two days earlier, which effectively kept Whitmore-Sells in her post. Board member Mike Fisher replied: "It's a great question that I don't have an answer to." The March 12 vote against Whitmore-Sells was the first of two board-orchestrated power plays last month to override Obeng's personnel choices. The second came the following week and concerned Burlington High School, which is also seeking a permanent leader. Obeng recommended the board hire acting interim BHS principal Noel Green for the post, but board members voted 6-3 to offer Green a one-year interim contract instead — again, without explaining why. In the absence of an explanation, others suggested one: racism. 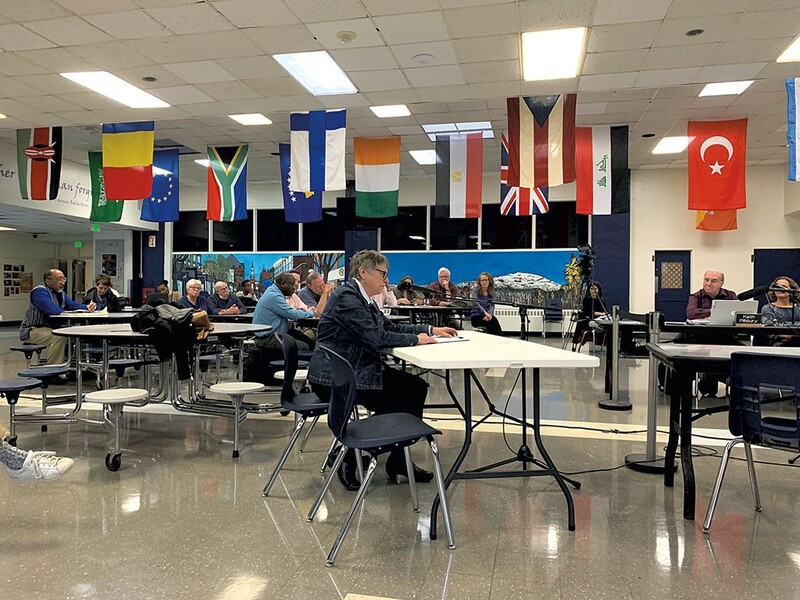 Whitmore-Sells, Green and Obeng are black, and the all-white school board seemed to be holding them to a higher standard than their white counterparts, board member Liz Curry said during the March 21 vote. A who's who of local black leaders and progressive activists showed up to the board meeting on April 2 to ensure Curry's point didn't go unnoticed. Civil rights attorney Robert Appel read letters from Rutland NAACP president Tabitha Pohl-Moore and former state representative Kiah Morris. Several public figures commented in person: former city councilor Jane Knodell, former school board members Kyle Dodson and Stephanie Seguino, and city councilors Ali Dieng (D/P-Ward 7) and Brian Pine (P-Ward 3), who is Curry's spouse. They accused board members of implicit bias and warned that their actions were undermining Obeng's authority. By doing so, they predicted, the board would likely run off the minority leaders it has claimed it wants to attract. Board members went into a closed session for nearly two hours and returned with their minds changed. They were unanimous in offering the Flynn job to Whitmore-Sells and extending Green's interim contract from one year to two. Only two of the six board members who changed their vote would speak to Seven Days about their decision. But board emails obtained through a public records request show how community pressure and suspicions about Obeng's leadership threatened the superintendent's choices. School board members' concerns began with the hiring process itself. Some of them complained that Obeng withheld staff and parent feedback forms from the board and that the administration wasn't aggressively recruiting external candidates. Concern heightened after an initial December job posting for the BHS principal position turned up just eight applications, and one of two finalists dropped out before being interviewed. In response, the superintendent's search advisory team of administrators and faculty decided to solicit more applications through March 1. Just before the extended deadline, board chair Clare Wool contacted a Winooski school official to ask about the smaller district's recruiting strategy. In an email, Wool said she was worried that Burlington was "not actively recruiting" for its open administrative positions. "I know we are posting the positions, but hearing [of] the estimated 25 administrative vacancies throughout the state I believe it is imperative that we recruit," Wool wrote. "Our BHS Principal is at the top of our list for recruitment as we have endured 3 years of individuals serving on an 'interim' basis. This is hurting our school on many levels." The district's extended job posting yielded eight more applications for BHS principal. Of four finalists, three withdrew in advance of interviews, leaving Green as the only remaining candidate. 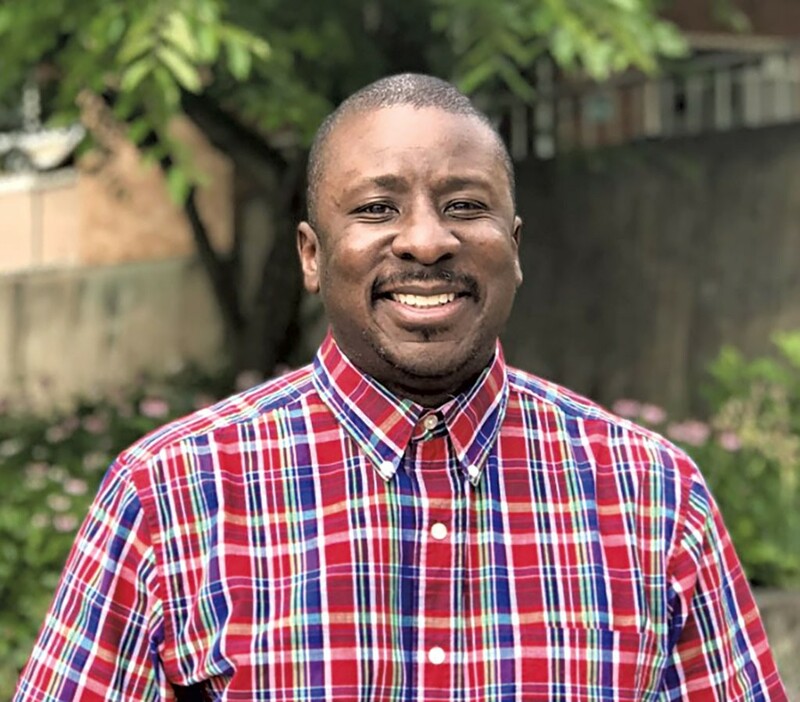 Formerly an assistant principal at the school, Green became interim principal last year as part of an administrative shuffle. Obeng appointed him. The district's announcement of Green as the sole finalist prompted several emails to board members, encouraging them to push back. City Councilor Joan Shannon (D-South District) urged Wool, Fisher and vice chair Jeff Wick to reject Green and instead find a retired principal to serve as interim during a new search. She pointed to Green's handling of former BHS guidance director Mario Macias, who recently lost his teaching license after a state panel found that he was guilty of three of seven alleged licensing violations leveled at last year, including showing inability to perform the basic duties of his job. Green publicly backed Macias in the face of the investigatory findings and censored a student newspaper story about the situation. "I have no confidence that he is a good choice for BHS principal," Shannon wrote. Some board members also heard from a former BHS parent who emailed a lengthy story about their family's experience at the school. Most details were redacted in the copy that the district provided to Seven Days. The sender, whose name was also blacked out, concluded by describing Green as "a poor leader" who created a "toxic" environment. "This is very disturbing! ... and now Noel Green is THE only candidate for BHS Principal?!" Ivancic replied to fellow board members. "We need to push for him to continue to be interim." "We can not expect any major improvements, in my opinion, with the current leadership," board member Martine Gulick wrote. Green declined to comment. But he contacted Wool and Obeng on March 24 to express concern about the "daunting" task of leading BHS for another year under an interim tag. "This limits our ability to offer stability and consistency to a school that sorely needs it," he wrote. The two-year offer would seem to prolong the instability, though board member Keith Pillsbury, who initially voted for the one-year appointment, said he was persuaded that Green should have more time to demonstrate his leadership skills. After the April 2 vote in the BHS cafeteria, Wool characterized the school's recent lack of leadership as a "crisis" that has prompted some talented minority staffers to leave. She pledged to help Green "build a bridge" to faculty and staff over the next two years — something Wool said Obeng could have initiated with a more robust hiring process. Instead, Wool told Seven Days, the superintendent ignored a recent board policy update intended to better involve parents and staff in administrative hires. She described "serious irregularities" in Burlington's current hiring processes, even doubting Obeng's assertion that three BHS finalists had withdrawn. "I have zero trust," Wool said. This isn't the first time the board has dealt with allegations of racism. Last year, a board member accused Wick of making racist statements in private about Obeng, including suggesting that the district had gone too far in promoting diversity by hiring a black superintendent. Wick denied saying it, and an investigation conducted by a retired state trooper did not substantiate the allegation. Nor was this the first time that hiring a black principal has faced resistance. When Whitmore-Sells was chosen to lead the Sustainability Academy in 2015, a dozen parents showed up at a school board meeting to object. They described the 2015 hiring process as a sham and demanded a new, national search. This time around, Obeng selected Whitmore-Sells for the Flynn job over 12 external candidates. 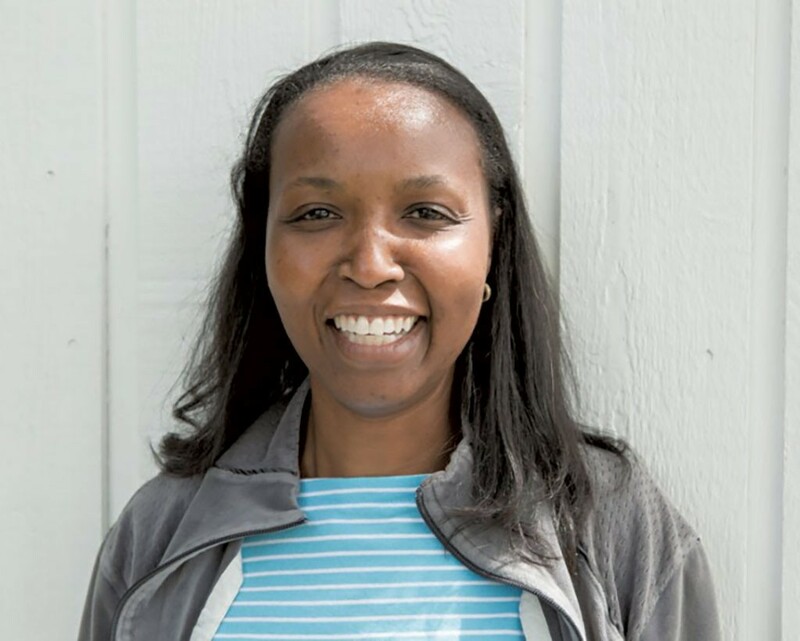 Obeng cited her knowledge of the district, student-centered approach, and sensitivity to equity and diversity issues in recommending her for the job over two other finalists. Curry said she assumed Whitmore-Sells' transfer would get routine approval. In a joint email sent the morning of the scheduled vote, members of the Flynn PTO implored board members to select one of the two external finalists. "We must have new perspectives in our school and our district, and moving around employees is absolutely not the solution that fits the needs of J.J. Flynn," they wrote. "On this point, we cannot make ourselves more clear." Board members requested that Obeng provide them copies of anonymous parent and staff feedback forms completed as part of finalist public forums. Obeng refused, believing the board policy didn't require it. Because the forms were withheld, Ivancic wrote to a constituent on April 2, she considered the principal-hiring process "flawed" and "very frustrating." In another email, Fisher accused Obeng of forwarding emails sent to him by community members only if they supported the superintendent's position. (Obeng replied that he was merely trying to comply with open meeting laws.) In a written statement, Fisher told Seven Days he initially voted against Obeng's recommendation of Whitmore-Sells because he didn't believe the superintendent "truly honored" the hiring procedure approved by the board. In a statement provided by Flynn PTO chair Amanda Reid, the PTO called for the parent feedback forms to be made public. The district allowed Seven Days to inspect the forms last week. Each form asked parents or teachers to score candidate responses to each prepared question on a scale of one to four and provided space for written comments. There was no clear consensus in the scores given by a dozen parents and 29 Flynn staffers. Whitmore-Sells received both high and low marks. A couple of parents criticized her for offering "too many platitudes," while multiple staff members said her answers were particularly clear and succinct. One staffer wrote that Whitmore-Sells "clearly has the knowledge that this position demands," in contrast to another candidate who "does not seem to know what it is really like to be a principal." Erickson, of the Sustainability Academy PTO, said she contacted the Flynn parents to assure them that Whitmore-Sells is a professional, "solid" administrator with whom parents had a positive experience. She said she sympathizes with Whitmore-Sells on the public dispute over her selection. Erickson now hopes the public spats don't scare off finalists for the remaining open positions at three elementary schools. "If I were looking for a job in this school district and saw everything that's going on, I would have some questions about whether that's a place I want to work," Erickson said. Correction, April 14, 2019: A state panel that found Macias guilty of three of seven allegations did not determine that Macias failed to maintain a professional relationship with a student teacher or that he deliberately falsified a student transcript. A previous version of this story failed to note the panel's findings.